“A Description of Tartary” was published in 1595 in Koln. 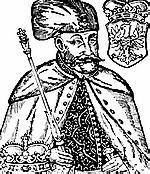 Its author Martin Broniewski visited the Crimea twice as an ambassador from the king Stephen Bathory to Tatar khan Muhammad-Girey II. Its mission of 1578 lasted more than nine months which he spent travelling in the country strange for Europeans long since. This educated, observant and definitely amiable person supplied us with account of Chersonesos about 150 years after its fall. His description of Chersonesan ruins shows his acquaintance with Greco-Roman writers, mainly Strabo, as well as Ancient Rus chronicles. Abandoned and deserted Chersonesos still made a great impression on the Pole. He called its ruins “deserving surprise,” described high wall with multitude of towers of huge hewn stones and a large building with “excellent gate” which he interpreted as a royal palace. Martin Broniewski also gave an account of water supply, which "conduct the water to the city by means of four-miles-long cut in rock underground pipes," and added that "they still have very clear water." However he admitted that the houses of the city "lays in ashes and are razed to the ground," but the "art and luxury" could be seen in remains of some buildings. We can suppose that the Polish diplomatist was guided by some Orthodox Greeks in this abandoned city, because his description more than once showed his knowledge about the Greeks’ life in Crimea (for example, he complained about their small number) and made notes to their narratives. Probably these stories made him to attribute one of the houses as a big Greek monastery, which remained in the city: "The walls of the church are still standing, - Broniewski wrote, - but without covering, and all the adornments of this house, which were in it, are demolished and robbed." He also name the culprits of this plunder: "... beautiful columns of marble and serpentine, the places of which are still visible inside, and huge stones were taken by the Turks and conveyed across the sea for their own houses and public buildings. The city came to more devastation because of this." We will see later how the accounts of the plunder of the ruins of Chersonesos always accompany any data of it. During the eighteenth, nineteenth and even twentieth centuries many educated persons of Russia and other nations were shocked of this vandalism, so their anxious notes seems to be a chorus of indignant voices to modern scholar. 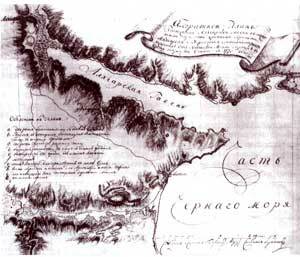 The next mentioning of Chersonesos appeared in "The Book of the Big Draft" that was an explanation to a geographic map, compiled according the Russian czar Mikhail's order in 1627. Under the name of Korsun' this city was located on the map 30 versts (1 verst = ca. 3.500 ft) fare from Bakhchisaray. However, later historians, both Russian and foreign, did not remember the location of the city and placed it in different areas of Crimea near Evpatoriya, Feodosiya, and even Kerch, because they considered that the account of the "Draft" were fabricated. Chersonesos had been remembered even before Crimea was annexed by Russia. 1772 is the date of the “Accurate Plan of Location of Alkhiyar Harbor with Ancient Cities of Alkhiyar and Cherson Near It.”. 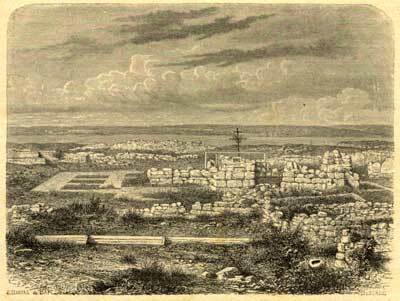 Alkhiyar or Akhtiar, from the Tartar Ak-yar (“white precipice”), was the contemporary name of a small village, near which the building of Sevastopol would start soon. Having observed Chersonesos across the bay in 1773 and having no time to come closer to the site, the supreme commander of the Russian army prince Dolgorukov mentioned that "collapsed walls with high towers show its quadrangular figure." Dolgorukov called Chersonesos the most ancient city in the Crimea, "which was established during the Persian monarchy" and became famous after the prince Vladimir's baptism. Let us point out that the Russians' desire to mark the place of this legendary baptism will be the determinant factor in the fate of the ruins of Chersonesos. 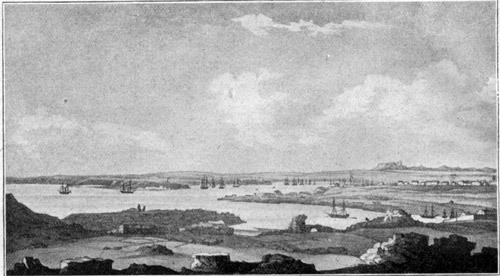 It was spring of 1783 when the Russian squadron came into Akhtiar and the prince Potyomkin ordered the fortress of Sevastopol, which was primarily called Akhtiar, to be built at this place. From that moment, the period of double interest for the history of the ruins of Chersonesos started. Some visitors came to these ruins in order to observe, to describe, and to make plans, others took stones off the walls and exported tens of tons for building of houses and fortifications of Sevastopol. Russian writer Pavel Sumarokov compared the newly built city with young and bold thief, who robbed a grave of an aged man. "Walking through that sad and silent desert, and having horror and death everywhere in my eyes, I was falling into dismal thoughts... The rites of triumph and adornment, life and love, everything gave the place for the nonexistence and devastation. Time demanded for changes, and a dreadful decoration appeared in the magnificent stage" - he wrote in his "Leisures of a Crimean judge." That was the time when the ruins of the ancient city were a source for sentimental thoughts about frailty of the earthy life for one people and a good quarry for the others. 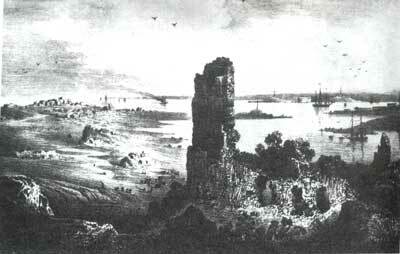 Academician Pallas, who studied Crimea in 1793 and 1794 after the assignment of the Russian government, informed about the remains of the walls which had seen, beauty city gate and big towers, but he grieved later on: "Beauty ashlars were taken off even basements in order to build houses in Akhtiar." The same Pallas gave evidence for the houses of Akhtiar-Sevastopol were decorated by ashlars and numerous architectural details from the buildings of Chersonesos and even with inscriptions and basreliefs. In 1799, Sumarokov told the same story: "They started taking marble, stones, pillars, cornices off from it. Sevastopol owes everything to the last small stone to the ancient Chersonesos... In Chersonesos Akhtiar has excavated all its adornments." Sumarokov wrote that it was not possible to go through the ruins of the city because of heaps of stone, and these stones were permanently transported to Sevastopol. Having been to this place in 1795, the Brit Maria Guthry also mentioned that the ancient ruins had been devastated during twenty years. An English traveler Clarke brought scathing criticism down from the pages of his popular essays: "The Russians had blown basements up, robbed graves, demolished churches, and, having collected enormous quantity of stone and marble, were enjoying the strange fun of selling these precious fragments as a simple stone for building. The Turks are the people of taste and science in comparison with the Russians." A Russian military officer, famous antiquity-lover Zakhariy Arkas, who described Chersonesos in 1840s, mentioned as a usual thing that the large landing stage at the ancient western gate was taken to pieces for the building of the city slaughter-house. Although annals of history have collected a great deal of such citations, let us finish with the only one because of the lack of space: as a Swiss scholar Dubois de Montpéreux after his visit to the Crimea in 1832 and 1834 had acclaimed, "The first day of Sevastopol became the last day of Chersonesos!" It is easy to attribute all the aforementioned words to the emotionality of the writers, but the latest archive studies have stated authentically: this plundering of the ancient ruins was not a private affair, it was raised and organized by the military power. The stones were exported by boats, launches, and ox harnessed wagons for decades! Despite of these sad facts, however, history of the ruins of Chersonesos also contains events pleasant for the science. The Russian government more than once sent scholars to the Crimea on different assignments: to describe and collect data on the nature and sites of the region; painters, topographers, and engineers for drawing and making the plans. Some inscribed stones and bas-reliefs were taken off the new building and came to private and museum collections. Travelers, writers, and scholars gradually paved the way for the appearance of the emperor Alexander I's decree "On the Protection of the Antiquities of Taurida from Devastation" (1805) and following measures aimed at the preservations of the ancient ruins. Even if it did not prevent the devastation, it restricted its scale. The development of the museum science in Russia also improved the situation. It was 1803 when the Room of the Rarities at the Black Sea Map Depot was opened in Nikolayev due to the efforts of the supreme commander of the Black Sea Navy marquise de Traversay. This was the first state museum in Southern Russia. It had been being supplied with antiquities collected at the sites of ancient cities in the northern Black Sea coast together with rarities from Greece and Asia Minor, often visited by the Russian seamen. The most of Russian naval officers were educated people and understood the value of the archaeological finds, some of them even tried themselves in excavations on the “classical ground” of the former Greek colonies. Established in 1839, the Odessa Society for History and Antiquities was permitted in "providing archaeological studies through the whole Southern Russia." Among the members of the society there were representatives of the aristocracy, diplomatists, professors, military men, and clergymen of different confessions. They were people of various interests: statistics and ethnography, archaeology and numismatics. Being an active member of the society, the archbishop of Kherson and Taurida Gavriil was interested in the remains of the Christian antiquities in the Crimea, and his successor archbishop Innokentiy initiated the establishment of a number of Orthodox monasteries including that of Chersonesos. It should be mentioned, that the popular attention to Chersonesos as "cradle of Russian Orthodoxy" was attracted after the efforts of men of non-spiritual rank. to admiral Greyg in Nikolayev From 1816 to 1833 the Black Sea Navy was under the commandment of the admiral Aleksey Greyg, Scottish by origin, an encyclopedically educated person and honorary member of the Academy of Sciences in St. Petersburg. Apart from the perfection of the Navy, development of the shipbuilding, science, and technology, Greyg's great merit consisted of studying and keeping the antiquities of the Crimea. He produced an idea of the erection of the monument to prince Vladimir's baptism in Chersonesos. The admiral thought of a certain unpretentious obelisk or a small elegant church with attached minor charitable institution for 20 to 30 persons, disabled and indigents, which would be obliged at monitoring over the preservation of the site. Long years were needed to realize this aim, and finally it greatly exceeded all primary expectations in its scale and consequences for the studies of Chersonesos. In order to put the monument “correctly,” Greyg wanted to find the exact location of the church where Vladimir accept his baptism, and the gate through which the prince arrived to Korsun'. Having received from the experts in the history of Taurida no answer for these questions, admiral Greyg appointed a certain Kruse to start the excavation in the site. The discussion of the figure of this semi-mythical Kruse, standing at the beginnings of archaeological study of Chersonesos, has been lasting in scholarship for a long time. It is most possible that this man was Karl Kruse, at that time serving in the Black Sea Navy as an engineer. Having initiated a series of articles to the beginning of the excavation in Chersonesos in 1827, St. Petersburg newspaper "The Northern Bee" called this person "an officer, known after his education." After the count Uvarov's request, Kruse wrote a detailed report on his excavations in December of 1852. Apart from pure archaeological information, one can take some knowledge of the circumstances of his excavations from there. Kruse wrote that he had marked the places for the future discoveries at his "often walks through the ruins." He had noticed ramparts of ground and crushed stone "in the form of half- and complete circles" and had supposed them to be remains of fallen down churches. Taking the observations into account, Kruse had also determined the direction of the streets of the ancient city. Kruse underlined that he had made excavations only at three spots of the site, and three times he had unearthed a church. Thank his keenness of observation, his education, and his taste for often walks! The excavations started on May, 1827, and revived in two next years. 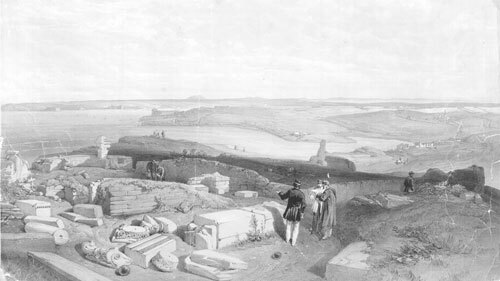 A plague epidemic in Southern Russia came to Sevastopol on October, 1829, thus putting end to Kruse's excavations. The detailed report of the retired staff-captain has been generating scholarly interest to these days. It is known, that Kruse was keeping a diary of his excavations, which document evidently helped him to describe his finds a quarter of century later. In 1783 prince Potyomkin sent academician Karl Gablitz to the Crimea for collecting various scholarly information. On the "Plan of the Ruins of Ancient Chersonesos" of 1796 Gablits marked with Е letter a place in the central square, explaining that according to a "vulgar legend of the Greeks" prince Vladimir had been baptized at this place. There Gablitz found nothing but a small pit similar, in his point of view, to a collapsed well. Later on, Kruse started his excavations at this very place. Finally, Kruse discovered ruins of three churches. The remains of the first buildings are still kept on the ground floor of St. Vladimir’s church. A popular book called the second church with three-leafed apse the Kruse's basilica in order to preserve the name of the first archaeologist of Chersonesos. The same publication contained a reference to maps from the archive of the Black Sea Navy, on which this basilica was marked as excavated in 1827. The location of the third excavated church has not been found yet probably because its ruins were demolished in the early twentieth century as they were located in the middle of the monastery's dump. Kruse saw the reach architectural adornment of the first church: the entrance was trimmed with thick marble gilded slabs, the floor was made of mosaics, and there were trimmed with marble steps of the synthronos in the alter part of the church. In the floor in front of the altar there was a deep quadrangular "pit," with the walls smooth like a mirror and, in Kruse's words, still keeping the shine of rose and red paint, like they had been polished only a few hours before. Besides this rich adornment, inside the building the archaeologist found numerous human burials, traces of devastation and fire, and caked because of the fire metal church equipment. Laid in garbage remained ceiling beams fell into ashes after the lightest touch. The artifacts from the excavations were sent to the aforementioned Room of Antiquities in Nikolayev. Later on, some items were sent to the museum of the Odessa Society. Besides these churches, Kruse successfully discovered and traced the remains of five-verst-long city water pipe. Kruse was the first archaeologist who suffered during his studies of Chersonesos. In his investigation of a certain "underground passageway," which most likely was a vault, he lost his reason because of "malignant air" coming from a hole. Before he fell down, Kruse had time to put a certain shining object into his pocket. Having remembered about it in sixth months ("so long my decease lasted," as Kruse wrote), he pulled the find out of his pocket and found a copper gilded diptych with pictures of Mother of God and different Saints, with Greek inscriptions. Although there is a mention of the excavations in Chersonesos and its outlying areas provided by naval officer prince V. I. Baryatinskiy, there is no reliable data of what he found. 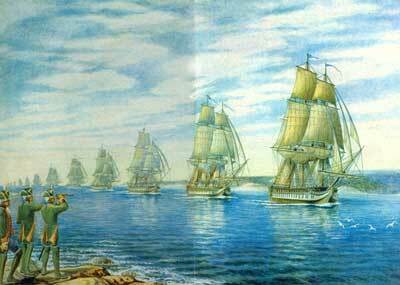 In 1840, the Odessa Society made a request to the commander of the Black Sea Navy Lazarev asking him to make a plan "of the preserved remains of Chersonesos and its outlying areas." This task was entrusted to a member of the Society, the chair of the Sevastopol committee of the statistics captain Zakhariy Arkas. In the second volume of the Proceedings of the Society issued in 1848 Arkas published "A Description of Gerakleyskiy Peninsula and Its Antiquities" with pictures and plans. Having been inspired by finds from the site of ancient Pantikapeon in Kerch, the Ministry of the Royal Court (the museum of Hermitage was subordinated to it) sent its officer D. V. Kareysha on an assignment to Chersonesos. He organized a large-scale unmethodical excavations aimed at finding rich burials in 1846 and 1847. Failed and fallen sick, Kareysha finished his works and thus added practically no contribution to the history of the studying Chersonesos. Later on, in 1851, a certain lieutenant Shemyakin started unauthorized excavation of a building, which now is known under the name of the Uvarov's basilica. Shemyakin unearthed the southern wall of the church and excavated a great deal of marble architectural details, coins, fragments of mosaic floor, and bricks of smalto including those of gold color. Arkas insisted on the works by Shemyakin were prohibited, took the finds away, and sent them to the museum of the Odessa Society. This was the starting point from when the data of new profitable business developing in Sevastopol appeared. The robbers searched for the antiquities in the ruins of Chersonesos and sold the finds to the collectors. The excavations of the Christian churches in Chersonesos attracted the Russian Orthodox Church attention to the site. In 1850, emperor Nicholas I approved the "reconstruction of the ancient holy lands in the Crimea." Dreaming for the development of the "Russian Athos" in the Crimea, archbishop of Kherson and Taurida Innokentiy achieved an agreement to establish small cenoby monastery on the territory of the site of the ancient city two years after. Innokentiy thought that the monks could be engaged in collecting historical legends and describing antiquities. The development of the monastery started with the building of cells and small church. For the needs of building, the monastery made lime of the stones collected from the site. Arkas who was still observing Chersonesos on behalf of the Odessa Society did not protest against this collection because he thought that after that in this way remains of the ancient city would be discovered sooner. The Odessa Society aimed to start one day the archaeological study of Chersonesos according to a systematic plan in order to preserve and describe "in a scholarly way" all collected items. Although for the time being the excavations organized by the monastery under the supervision of the Society were aimed at the reconstruction of the ancient church at the place where the prince Vladimir had been baptized. This church was planned to be reconstructed according to the ancient plan and from the details which had belonged to the churches of Chersonesos. Nevertheless, these works opened only insignificant sites in the middle of Chersonesos. Although the abbot Vasiliy included the results of these works into a plan, they were not finished because of the absence of money. Much more productive were excavations by count Aleksey Uvarov who had come to Chersonesos in 1853 under the assignment of the Ministry of the Royal Court. He needed for the permission from the archbishop Innokentiy in order to provide the investigations of Chersonesos. The necessary permission was granted against the condition of the excavations would not contradict to the "high aims" and would unearth the remains of the church where "according to nearly common point of view the baptism of the great prince took place..." Besides that, in this appeal to the young archaeologist we can see the first record of the project of the organization of a "storage of a local antiquities" in Chersonesos. Innokentiy asked to preserve the finds at the place, in the monastery. The Ministry of the Royal Court's excavations were always aimed at supplying the Hermitage museum, which is why trying to run to a compromise Nicholas I ordered to leave in the monastery only finds of the Christian period. Uvarov discovered the basilica appearing to be the largest church in Chersonesos. There is a report of this excavation which might be considered the first scholarly excavation of Chersonesos. It was organized according to the methodological requirements, with screening soil and using the work of a topographer and draftsman. The basilica was unearthed completely as its ground plan was visible on the surface. In spite of the discovery of a great deal of marble architectural details, inscriptions, and a beauty mosaic floor, the excavations were not finished because Russia started a war with Turkey in September of 1853, and with England and France in March of 1854. This war is known as the Oriental or Crimean war. According to a personal order of the emperor, the mosaic floor was sent to the Hermitage museum and other finds were left in the monastery. The account of the situation at Chersonesos during the stay of allied armies is scant and controversial. Monastic buildings were destroyed, the Frenchmen constructed a battery with gunpowder depot and dug out trenches in the site. 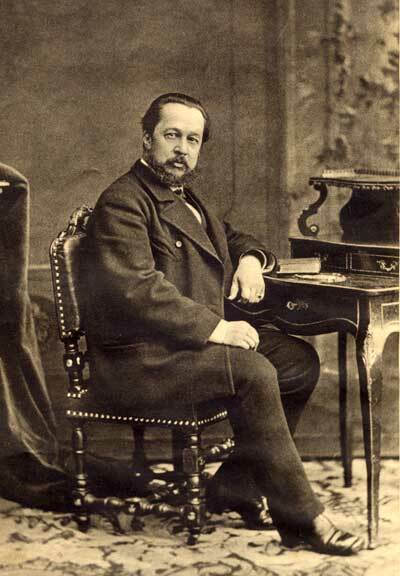 Nevertheless, having viewed Chersonesos in 1860, the vice-president of the Odessa Society Nikolay Murzakevich mentioned that the area had suffered less than it was supposed and the basements of the churches were still visible. Numerous marble details of the Uvarov's basilica preserved also; later on they were exhibited in the newly established monastery. Englishmen in the ruins of Kruse’s Basilica. Lithograph by English painter William Simpson (fragment). The author of "A Universal Description of Crimea" Vasiliy Kondaraki mentioned the 39th regiment colonel Munroe's excavations in Chersonesos and Balaklava, his finds went into the British Museum, with a reference to the English "Athenaeum." He also reproduced the story by "one Frenchman" that a church was excavated in Chersonesos with its mosaic floor completely taken away sent abroad. He also cites an account of a certain picture "of English design," depicting how the French were carefully taken mosaics away from the ruins of a church. It is likely that this topic is still waiting for its student. After the end of the war, the St. Vladimir’s monastery was opened anew in the territory of Chersonesos. A new abbot, celibate priest and then archimandrite Yevgeniy appeared to be thrifty and energetic person. During he was holding this position (1857 to 1874) two more churches, an abbots' building, refectory, monastic hotel, and a number of economical buildings were built in the monastery. Taking the "historical significance of the area" into account, the monastery of Chersonesos was raised to the rank of the first-class monastery in 1861. Father Yevgeniy made every effort to attract attention of the royal family to his monastery. The emperor Alexander II donated a part of relics of St. Vladimir to this monastery, granted money for a big bell, and on August 23, 1861 himself laid the first brick in the foundation of the church in honor of the Rus' saint sponsor. Building and economical activities of the monastery and the construction of St. Vladimir’s church were organized in the central part of the site of ancient city, which was the most outstanding from the archaeological point of view. The finds were almost never recorded. To the present this circumstance raised the deepest regret from the students of Chersonesos. Archimandrite Yevgeniy The archimandrite Yevgeniy's name is related not only to the development of hismonastery, but also to the renewal of the archaeological excavations in Chersonesos. He also addressed an idea of erecting the two-storied building of the modern church in order to preserve the remains of the ancient church on the ground floor. The account of the museum which he created in Chersonesos is also extremely interesting. The abbot worked in this direction as energetic and wise, as he did for the organization of the economical background of the cloister, taking the help from the great ones of this world in order to realize his plans. 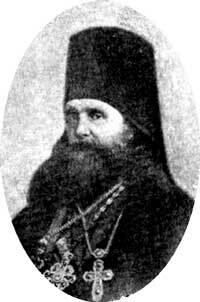 What is the most important, the archaeological excavations were crying for money, which were not available from the monastery or from the Odessa Society of History and Antiquities (father Yevgeniy was the full member of the latter). In 1859, the Ministry of the Royal Court established the Archaeological Commission. This commission was aimed at "searching for the artifacts of antiquity" and monitoring over every archaeological excavation in the territory of the state. Besides this, the Imperial Archaeological Commission (IAC) was required to watch on large earthworks in the state territory, for example on construction of railways and highways. On November of 1860 the abbot of the monastery turned to the chair of the Commission count S. G. Stroganov asking for a grant to provide an excavation. He wrote that his excavations uncovered "...a street, a large number of basements and, partly, of walls, one praying building at the burial vault with preserved drawings on its walls, a lot of ancient coins, crosses, and icons..." In the return mail the chair of the IAC asked for the details of these discoveries and to determine an approximate sum of required grant. Father Yevgeniy replied that he spent ten months and 3,708 rubles for his excavations. IAC refused to finance the excavations of Chersonesos in that period possibly because of these studies were organized in the territory subordinated to the church authorities. The monastery’s excavations in the given period occupied the area below the church under construction where the basements of seven ancient churches were found. All these constructions were included to the plan later presented to the Odessa Society, which was "curating" the archimandrite's activities. There is an interesting story by father Yevgeniy about his talk to the emperor Alexander II in 1859, when the emperor approved the establishment of the museum in Chersonesos and even regretted that a number of items from the excavations were removed to the Hermitage. Understanding the necessity of systematic study of Chersonesos for a long time and having no funds for this purpose, the Odessa Society finally turned to the help from the government. From 1876 onwards, according to the request from the minister of the popular education count D. A. Tolstoy the Holy Synod began to grant 1,000 rubles annually for organization researches on the of the monastery of Chersonesos. The Odessa Society was engaged in supervision over these excavations. The Society organized the "Excavation Committee" and began the investigation of the ancient city starting from the Uvarov's Basilica. They unearthed dwelling blocks in the north-eastern part of the site and along the main street, and discovered several Byzantine churches, a baptistery, and the so-called underground memorial church. The first decade of the excavations supplied a great deal of the most interesting finds, among which there are two outstanding inscriptions: the decree in honor of Diophantos and the base of the statue of Aristonos. It should be underlined, that despite of restricted funds these were the first methodological excavations according to a plan, which were gradually unearthing the territory of the medieval urban buildings. The forethought methodological study of the ancient city was complicated with simultaneous beginning of construction of the fortifications in the territory of Chersonesos, organized by the military department. At this case the archaeology followed on the builders' heels. The southern and the south-western parts of the ancient defensive wall were opened. After the excavations, the walls were destructed and batteries were raised above them. Fortunately, one of military engineers, the staff-captain M. I. Garaburda turned out to be an antiquity-lover. He carefully fixed all excavated structures and objects in drawings and plans. The Society did not restrict its activities to the excavations only. From the very beginning, it planned to organize a "Christian museum" in Chersonesos, which would include items of the Byzantine period. "Pagan" artifacts were planned to be sent to the Society's museum in Odessa. They were going even to build a special house for the Christian (or Byzantine) museum in Chersonesos. The fool member of the Society admiral Nikolay Arkas (Zakhariya Arkas' brother) re-issued "A Description of the Gerakleyskiy Peninsula" on his own and, having offered the book for non-profitable sale, put 600 rubles to Sevastopol city bank "for the foundation of the capital to build the museum." In spite of positive sides of the activities of the Society, the given period in the study of Chersonesos was marked with large-scale plunder of antiquities. What is written by a witness of the discovery of one of churches with mosaics: "High stone walls were erected around this small church, the door was arranged and locked in order to save this precious find. But, alas, these turned to be ineffective: in a time the mosaic was stolen even with undamaged lock. Then the badly protected walls were also taken away." The robbers usually came to Chersonesos at night and carried marble off the excavations. The Society supervised the excavations from a distance, restricting itself to its vice-presidents’ short-term visits to Chersonesos. Directly in the place, the works were supervised by monks, appointed by the abbot of the monastery. The Society sent clear and detailed instructions just to these monks. To be honest, these instructions concerned surveillance over hired workers rather than archaeology, because they usually stole and sold finds. The demand was popular and thus raised temptation. The measures undertaken in order to prevent these thefts were too naive, like "praying admonition" before excavation started. It came to the antiquity-hunters from Sevastopol bought finds from the robbers in order to save these items for science. According to the existing descriptions, the museum at the monastery hardly deserved this name. Coins and small items were kept in a locked showcase at the abbot's place, and architectural details and inscriptions were collected in the monastic greenhouse. In 1886 Chersonesos was visited by Alexander III. Having viewed the museum and seen that in spite of the years of excavations only a few items were kept there, the emperor commented sadly: Je crois, que tout est vol? ("I think that everything is stolen"). The nineteenth century might be called the age of archaeology. Its outstanding archaeological discoveries, establishment of special institutions studying antiquities, and society's attention to its own historical heritage were registered in this period in every country of Europe and America. Headed by the countess Praskov’ya Uvarova, the Moscow Archaeological Society became one of the most important such institutions in Russia by the end of this century. A description of this brilliant lady's life and deeds would make more than one volume and would be the most exciting reading. The countess' name is related to the important changes in the affair of the investigations in Chersonesos, which is why she deserves to have a few special words in this brief survey. The countess Praskov’ya Uvarova in 1887 The countess Praskov'ya Shcherbatova, whose family was more ancient and noble than even the ruling in Russia dynasty, married one of the most educated person of the time when she was quite young. Her husband, Aleksey Uvarov, was not only a connoisseur of ancient cultures, archaeologist, and art historian, but also an outstanding organizer of science, who established a number of scholarly societies and gave birth to famous archaeological congresses. The count's wife was his closest assistant and secretary for a long time. She visited numerous European countries together with him thus studying classical antiquities, and after the count Uvarov's had died became a worthy continuator of his life work. 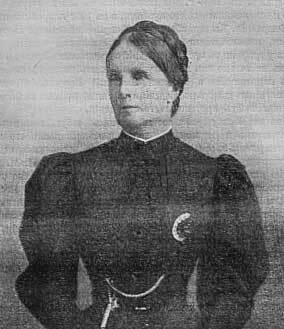 Though the situation appearing in the excavations of Chersonesos outraged many persons, countess Uvarova was the one who turned to the czar in 1887 asking him to save the "Russian Pompeii." In her letter she vividly described the suffering of the ruins and proposed a set of measures aimed at saving the situation. The countess thought it necessary to cease the monastery and to create an "archaeological station" in Chersonesos under the supervision of one of the archaeological societies. The incomes from the monastic lands were aimed to be used for organization of the researches. Her brilliant style and carefully highlighted key points created the necessary impression on the emperor, and Alexander III wrote on margin of her letter with his own hand: "That is what must be made in order to escape the reputation of barbarians. Give me your considerations as soon as possible in order to save everything what may be saved." The Most High resolution put the state machinery in action, the Archaeological Commission and Odessa Society made an official presentation of their ideas concerning the organization of the excavations in Chersonesos, and the minister of the popular education the count I. D. Delyanov made a resolution for the emperor. The minister confirmed the necessity of providing extraordinary measures for saving the monuments, recommended to prosecute unauthorized excavations, and to arrange a museum in Chersonesos. The cease of the monastery was considered undesirable, but when later countess Uvarova once again wrote about inadmissibility of the existence of the monastery addressing this request now to Nicholas II, it was still in vain. As a result of this it was decided to grant funds for the organization of systematic explorations and to entrust the IAC with the supervision over these studies. But, nevertheless, this affair went forward too slow. Already in the next spring of 1888 a rumor of amateur excavations in Chersonesos reached the ears of the IAC chair count Aleksey Bobrinskiy. This rumor forced him to turn to the Ministry of the Imperial Court asking to quicken their decision. As it had been supposed probably from the very beginning, the supervision over the excavations and "control over the expanding of the money" were entrusted to a person having permanent residence in Sevastopol, though the scholarly supervision was to be the responsibility to someone from the IAC members. The member of the Commission and the most prominent expert in the Byzantine art at the moment professor N. P. Kondakov, who once had received the exhibits for Moscow from the archimandrite Evgeniy, was sent on the assignment to Chersonesos on April 1888 in order to organize the excavations. The only problem remained unsolved was the candidate of local executor of the works. For a long time educated people of Sevastopol looked at the situation with excavations in Chersonesos with displeasure. The Circle of History and Archaeology Lovers existed there from 1881. Among its organizers there was a deputy of the Chair of the city bank Karl (Nikolay) Kazimirovich Kostsyushko-Valyuzhinich. 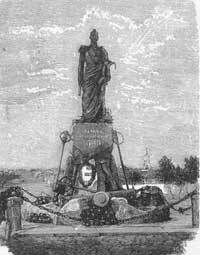 From the pages of the city newspaper entitled “Sevastopol Paper” the members of the circle (more likely the editor of the newspaper Kostsyushko-Valyuzhinich himself) criticized the methods of excavations and the absence of monitoring over the monuments and proposed their own action program. It is quite possible that precisely that environment sent information about problems in Chersonesos to St. Petersburg. The list of those who were examined as candidates for the first-hand work in Chersonesos by the IAC included a well-known expert of Crimea V. Kh. Kondaraki, painter and historian D. M. Strukov, military engineer and antiquity-lover A. L. Berthier de Lagarde, and mentioned above K. K. Kostsyushko-Valyuzhinich. IAC selected for Karl Kazimirovich. He was recommended by the Chair of the Odessa Society V. N. Yurgevich. Besides that, Kostsyushko-Valyuzhinich lived in Sevastopol, which was certainly an important argument. But when the Commission was making its solution none of its members could imagine that as a result of it the Russian Troy would find its Schliman. These two personalities actually had a great deal of common features. Both were talented self-taught persons, both had to go a long way to their vocation, and their hard works and steadfast belief in their cases were fated to deny the skepticism of the academic circles. But, in contrast to Schliman, Kostsyushko was not a rich person. Although the historians of the excavations in Chersonesos rightly canonized the person of Kostsyushko-Valyuzhinich, in many respects he remains an enigmatic figure, which is why his comprehensive biography has not yet been written. Kostsyshko's titanic works rewarded with extraordinary finds, his self-denying and passionate love for Chersonesos hid his own biography and cover with the veil nearly all the events previous to his Chersonesos period. It is known that Kostsyshko was born in Mogilev in 1847 and was originated from Polish and Lithuanian nobility. He studied in the Mining Institute in St. Petersberg but did not finish his education. From 1867 to 1882 he held minor positions related to accounting in different railway territorial administrations. Kostsyushko had ill lungs and this probably was the reason for he left to the Crimea, which climate was considered salubrious. In Sevastopol, he built up a reputation of honest, accurate, and kind person. In 1885 he was elected the deputy of the city bank chair. He had seven children. His enthusiasm for the ancient history, editing the Sevastopol Paper, and public responsibilities - he was definitely cramped at the bank desk. Starting his excavations on May of 1888, Kostsyushko immediately received a lavish advance from the soil of Chersonesos: he discovered the third century BC workshop where terra cotta statuettes had been produced. This was the first time when the Hellenistic Chersonesos raised itself from under the Byzantine urban layers. In the next year there were luxurious mosaic floors of the Basilica in basilica. Later on, the finds began to fall like from the cornucopia: numerous inscriptions with the famous Civil Oath of Chersonesos, burial vaults with treasures, amphorae, fine black-gloss wares, church plate, ancient sculpture, and many others. And all these types were great in number! The scale of Kostsyushko's excavations amazes even nowadays: only a simple enumeration of monuments in the city-site discovered by him will cover a dozen pages. He really turned Chersonesos into Russian Pompeii, because from that moment streets, houses, churches, defensive walls, and towers of the Crimean city became available for public view. As a result of this, the budget of the excavations in Chersonesos became the largest in the Russian empire. Starting from 2,000 rubles, the assignment reached 10,000 rubles by 1902. The story of Kostsyushko's achievements requires the teller's enthusiastic expressions all the time. It seems that looking back at two decades, which he devoted to this ancient city, Kostsyushko could say: "Chersonesos is me." 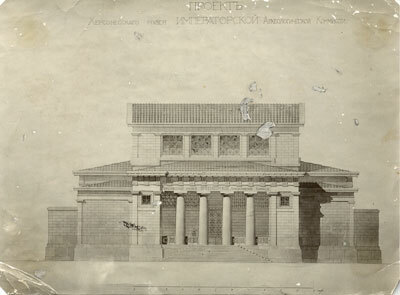 And this would not be an exaggeration, because nearly all what has been done by the staff of the museum of Chersonesos nowadays was started or planned by Kostsyushko. He established the museum of Chersonesos, laid the foundation of the museum library and archive, made the city-site the open-air exposition, organized restoration works, provided protection and popularization of sites, developed careful recording of the excavations on drafts and photos, and widened the explorations outside the city, to Gerakleyskiy peninsula. From time to time his life was so hard: everything harming Chersonesos Kostsyushko perceived as his own personal drama, both building monastic houses and laying out flower beds, and construction of artillery batteries in the city-site. He struggled at his best, but there was a struggle against him: the monks wrote denunciations of him, accusing Catholic Kostsyushko in original hostility to the Orthodox community; IAC chair count Bobrinskiy explained him that the military department's interests are more important than those of the archaeology; being in Chersonesos in transit, venerable scholars criticized his excavations "organized without any definite plan" and his system of keeping the exhibits in the museum. Kostsyushko carefully filed all these documents making a note that they are aimed "for a future historian of the museum in Chersonesos". “St. warriors George and Demetrios.” Kostsyushko's excavations occupied almost all the year round. His best finds were sent to the Hermitage and Moscow Historic Museum. There was an episode with one find, which is the best illustration for Kostsyushko's attitude towards his work. When someone saw few talc fragments in soil being thrown out of the remains of a house, Kostsyushko ordered three workers to re-sow the whole bulk of the soil through the finest sieve in two days. This way they collected and then glued together 32 fragments, which made an outstanding pattern of the Byzantine plastic art, an icon of two holy warriors George and Demetrios, which is now kept in the State Hermitage. But anyway the most part of these items remained on the spot, in Chersonesos. In 1892 the Warehouse of Local Antiquities was created when in course of re-planning of the monastic territory they demolished a small shed near the church where Kostsyushko kept his finds. Having hurriedly constructed few simple building on the shore of Karantinnaya bay, he arranged there an exposition of two parts, classical and medieval. The buildings of the Warehouse made a large yard where big finds were showed. In the same yard Kostsyushko reconstructed a Christian basilica from various architectural details. This basilica looked like the other basilicas, which are exhibited nowadays at sites where they were explored in situ. Nearby he arranged shelters protecting big clay barrels, millstones, ceramic water-pipes, and other items. Many visitors made tours to the museum, especially in summer, when Kostsyushko or some of his assistants conducted excursions ("give explanations"). There was a "Book of Reviews" as well. Under the appointment by IAC Kostsushko arranged his apartment near the museum; he also found a place for the library with bookshelves and showcase with coins. From 1903 Kostsyushko found his permanent assistant in person of Martin Skubetov, whose drafts ornamented all issues of the Proceedings of the Archaeological Commission and a great deal of other scholarship in the history of Chersonesos. One can imagine these two persons like silhouettes of a knight and his armor-bearer: the museum was their pride and life sense. But some IAC members had another opinion. Yet when making a decision about the fate of the excavations in Chersonesos the Commission discussed the possibility of establishment of the museum, but it was voted down. As I. I. Tolstoy pointed out, it was impossible to hide the finds from the eyes of the educated public in the "godforsaken depository." This probably was the appraisal of Kostsyushko's brainchild, about which baron V. G. Tizengauzen wrote to Kostsyushko in 1895: "Have constantly in view that the present collection in your warehouse is of temporary importance." The baron thought that the museum was visited only by pilgrims having no ideas about archaeology. Kostsyushko's remark on the margin is interesting: "The view of a cabinet scholar who has never been to Chersonesos... I am convinced that the problem of the local museum is no more than the problem of time." The majority of the Commission members including its chair count Bobrinskiy were respectful and warm to Kostsyushko, which is why they did not prevent him in designing the Warehouse at his own discretion and even sent extra specimens of their issues for the museum library. Booksellers of Moscow, Petersburg, and Riga sent their most rare books to Chersonesos as well. Although in the year of foundation, in 1893, the library included 200 books, the number of volumes doubled in two years. Soon afterwards the museum felt cramped in its homely buildings. Kostsyushko dreamed about the construction of a new building. He wanted to build the museum in the form of an ancient basilica and even ordered such a project from a local architect. His dreams were not groundless. Not so fare away from Sevastopol, in the southern coast of the Crimea, Russian czars and their retinue lived in their summer residences. From time to time they made excursions to Chersonesos where they visited St. Vladimir’s monastery and observed the museum and excavations. During one of his visits to Chersonesos in 1902, Nicholas II promised Kostsyushko that he would think about the new building saying that the "shed like this is not the right place for precious finds." He immediately ordered the project of the museum to be developed in the Ministry of Court. This project was lost in the Ministry, and started in a short time war between Russia and Japan did not allow to realize this idea. Due to the czar's family interest to this affair, IAC turned its intent attention to the condition of the items in the Warehouse. The results of this monitoring were distressing, because the system of keeping the finds practically deprived them of a scholarly value. Kostsyushko did not relate his finds with the place from where they were found! Large-scale excavations of Chersonesos developed the science of antiquity to the higher extent. Kostsyushko's deeds resulted in the appearance of such outstanding works as D. V. Aynalov's "Ruins of churches," V. V. Latyshev's “Inscriptiones antiquae orae Septentrionalis Ponti Euxini” and many other works of no less importance, for listing which we have no space in this edition. The finds were coming from Chersonesos as a magnificent stream, and new sensation appeared every year. That is why it is not so surprising that for the time being the scholars did not pay attention to the array of items collected in the Warehouse. After the remarks from IAC members, Kostsyushko tried to change this situation because he could restore the missing information from his registries and notes. Misfortunately, he was not succeeded in doing this. Having got called during his excavations, he died in his apartment near the museum at presence of his relatives on December 14 of 1907. Kostsyushko-Valyuzhinich's decease and death in less than two month long period put IAC in front of the problem of his successor, which was solved not so fast. Meanwhile, the Commission entrusted Kostsyushko's son-in-law the staff-captain Vadim Rot in keeping an eye on the Warehouse. Prior to this, Rot was responsible for making photos for the museum. Although the only thing prohibited to him by the Commission was excavation, he broke it several times. In order to organize the affairs in Chersonesos in the right way, IAC sent there its member and the director of the Kerch Museum of Antiquities V. V. Shkorpil. These are citations from his letter to IAC: "Recently the excavations of Chersonesos took so great importance that the supervision over them should be entrusted to an expert in this business, either an architect or a skilled Byzantologist. …But in order to find such a competent worker there is need to change completely the conditions under which K. K. Kostsyushko had to work. It would be well, first, to enlarge the rate of salary for the head of the excavations and, second, to rebuild completely the warehouse of antiquities and the apartment at the storehouse, which are similar to a certain show-booth or shed rather than to the museum and living building." Like a magic lamp of Chersonesos went out after Kostsyushko died, so all the disorder and poverty of the Warehouse of Local Antiquities and all the shortcomings in its creator's works came into the appearance. On February 8 of 1908 Rot informed IAC that a necropolis was discovered when building artillery battery. He wrote: "...because I love this business and I am interested in further prosperity of Chersonesos, it hurts me and it is hard to see how unexplored sites are becoming hidden for studies piece after piece." So, they had to detach immediately a young employee of the Archaeological Institute in St. Petersburg N. I. Repnikov for making excavations in that part of Chersonesos. At the same time, IAC continued its search for the new head of excavations. Only on May of 1908 Robert Leper was appointed to Chersonesos. Before this, Leper had been the scholarly secretary of the Russian Archaeological Institute in Constantinople (RAIC). He and nobody else corresponded to V. V. Shkorpil's desire: Leper's brilliant education, seven years of work under the supervision of Fyodor Uspenskiy, and outstanding abilities in epigraphy had actually made Leper a skilled Byzantologist, and his studies in topography of Athens and Constantinople should grant him a profound knowledge in archaeology. He arrived to Chersonesos in June and found the affairs fare from being wonderful. The money for excavations were usually delayed so Repnikov and workers did not receive payment for many weeks. He had to start from the repairing of the roofs above the mosaics, purchasing the equipment for the excavations, sorting out the library, etc. 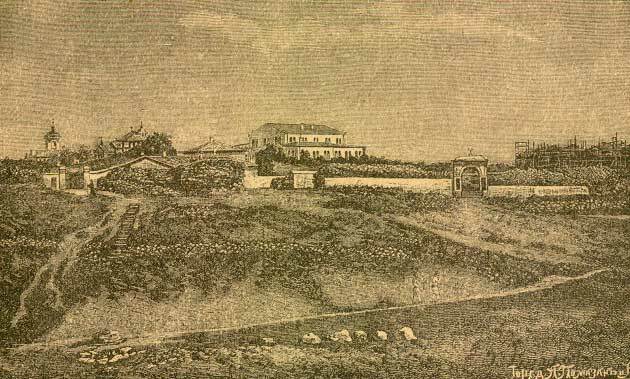 Having examined the apartment built by Kostsyushko, he proposed to establish there a laboratory for treatment of the finds, though he himself took up his residence at one of the central streets of Sevastopol. In 1908 Leper was 44-year-old and was starting a new stage of his life and career. On November he received a letter from the countess Uvarova: "...Coming back from abroad a day or two ago, I learnt that you had already occupied the office of your new appointment, that is to say in Chersonesos, which was so deserted from the moment of the death of dearest Kostsyushko-Valyuzhinich. Now it is possible to turn to you as to a resident of Sevastopol and Crimea..."
Leper came into the history of the museum accompanying with two major reproaches: that he never wrote reports and trusted his excavations to workers. These reproaches belonged to the author of the book of "A hundred years of excavations in Chersonesos" Konstantin Grinevich. Actually, during all the period of being the head of the excavations in Chersonesos from 1908 to 1913 Leper did not wrote and did not send reports to IAC. In spite of this, the members of the Commission seem to have patience during a long time. How can we explain it? One can suppose that the new finds constantly sent to the Hermitage, publications of Leper's papers in the Commission's editions, and his correspondence with the colleagues supplied permanent information about the situation in Chersonesos. It is possible that some personal features of Leper were taken into account as well. That is a fragment of his letter to Latyshev: "...I realize how much pity and worry you have after my long delay and I would like to apologize deeply. My sluggishness irks me much, but it seems that to withstand it is too much for me to bear." As for the second reproach, Leper really trusted his excavations to the workers too often, but among these workers there were few experienced persons who were working in the excavations for more than 20 years and called “overseers.” Leper did not neglect the skills and experience of his workers. Under Leper's initiative, in 1909 IAC decided to put the staff of the museum (which was still called the Warehouse of Local Antiquities in the documents) to the order. It was started to refrain small amounts of money from the employees payment in order to grant them "some guarantee" after the works were finished. Due to this decision we know that the excavation worker received 30 to 45 rubles per month and the draftsmen M. I. Skubetov 50 rubles per months. The cost of provision was measured in kopecks and even in mites (0.5 kopeck), well-illustrated edition cost 2 rubles, etc. It is known that being burdened with his big family Leper taught ancient languages in Sevastopol secondary schools and gave private lessons, which certainly drew him away of the problems of Chersonesos. But anyway this was the period of excavations around the so-called main street, cleaning up sites of defensive walls, and investigations in the western part of the city-site, with continuing excavations of the necropolis. Leper organized reconnaissance excavations in the outlying areas of Sevastopol in the area of Kazach’ya bay and Bel'bek river, in Laspi and Mangup. Besides this and apart from his main scholarly occupation and passion for epigraphy, Leper willingly replied for the requests from his colleagues when they have any scholarly or daily problems in the Crimea. As it was stated in 1911 guidebook, dozens of thousands (!) of tourists visited the museum of Chersonesos annually. Boats embarked to its wharf, though vehicles arrived from Sevastopol by a good roadway. Leper's request to IAC to send him books for selling in the museum contributes to the hypothesis of the growing interest to the museum: "...The audience constantly asks something about the excavations and bought up books." During many years there was a charity-box for the Red Cross in the museum, which is also an evidence that the museum was often visited place. In contrast to Kostsyushko period, the museum correspondence of the years of Leper's headship did not preserve mentions of conflicts with the monastery or military department. Was it Leper’s achievement or just a result of a certain "balance of interest" in that period? Construction works started in Chersonesos in 1911. Seemingly IAC did not forget that V. V. Shkorpil had called the museum building "show-booth." This major reconstruction of the buildings was going with many problems depending on different reasons. There was a real building boom in the Crimea in the given period, so workers were expensive, one architect was building several objects in a moment, etc. As it had been stated by the Revision Department of the Ministry of the Imperial Court in 1914, "Of three buildings projected in the general plan only the big corner shed has been realized, the buildings III and IIIa are not even started." When the Chersonesians were engaged in their peaceful building, the fortress of Sevastopol was preparing itself for war. It was put to martial law on July of 1914. The museum was closed. On August 1 (the first day of the war) it was prohibited to go there even for the workers. In order just to finish the excavations, Leper started to petition from the highest officers of the garrison asking for permission for 4 or 5 days long works. However this permission was granted, all Leper's assistants were driven away from the city together with many dwellers. As the commandant explained, this way they "take not wanted mouths off." In five days Leper did a great job: he put all the most important exhibits into boxes, the finds of different years separately, and made lists of exhibits. The archive, drafts, and negatives were put into boxes as well. Placed under shelters large exhibits were put into a pit in the yard and covered with soil. Everything was prepared for possible evacuation. According to the agreement with IAC, the items should be sent to the university of Kharkov. After that there was an accident which ceased Leper's employment in IAC. On August 4 of 1914 Leper saw his son Roman off, who was driven off the city without explaining the reason for, to the detective office of the city government of Sevastopol and enter into disappointing squabble with a police officer. The officer rebuked the young man for not taking his uniform cap off in front of the czar's portrait. Leper flied into a rage and accused the officer of treating his son inhumanly. Leper said: "Nobody must take his cap off in front of a portrait; portrait is carried along the street, do you want us to take our caps off there? That's despotism!" Leper was exhausted, tied of unbearable for one person work and distressed of senseless separation from his son. But this affair received political slant, the action was sent to Petrograd (St. Petersburg acquired this official name from the very beginning of the war with the Germans), and on October 1 Leper was forced to give up his position in IAC. The same Shkorpil arrived from Kerch in order to take the office. During a certain period Leper lived in Sevastopol from private lessons. Later on, the whole family left for Petrograd and he began to teach in the secondary schools anew. Leper lost his job and means of subsistence and died in Mary Magdalene Hospital on October 14 of 1918, in the year fatal for the Russian intellectuals. His death was caused by "exhaustion of not only physical but also moral strength": before the death he learnt from the newspapers that his son Roman had been shot. The signed by the academician S. A. Zhebelev obituary mentioned, amongst the other, that "He was a real optimistic, distinguished by amazing simplicity in the outer life conditions, can be satisfied with the little, and never gave up when he was missing even this little. A man of exclusive kindness and deep sympathies for the people, Roman Khrisanfovich was never crossed with them even they offended him without reason." He was probably not angry when the members of the Commissions appeared in front of the problem of searching for new head of excavations in Chersonesos. The beginning of the war resulted in the evacuation of the Russian institutions and citizens who were working or studying abroad. Lavrentiy Moiseyev, who had been sent on trip for preparation for the professor's title to Heidelberg Archaeological Institute in Germany by the Ministry of Popular Education two years before, came back to the motherland among many others. Besides Germany, Moiseyev had been to France, Austria, and Italy, where he worked in museums and libraries. He met the war in Sicily where he was "engaged in studying some sites and necropolises." Moiseyev was born in 1882 in the city of Astrakhan'. He was graduated from the Historical and Philological Faculty of St. Petersburg University, under B. V. Farmakovskiy's supervision took part in the excavations of Olbia, and showed great promise as archaeologist and art historian. Having come back from abroad, Moiseyev received a letter from IAC asking him to go to Chersonesos for assistance to Shkorpil and making "art least brief reports" on the years of Leper's headship. 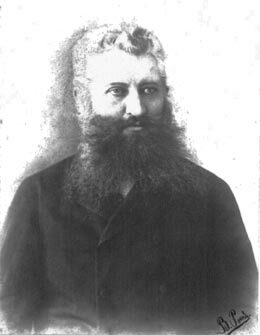 Having entrusted Moiseyev in the "supervision" over Chersonesos only, Shkorpil left for Kerch on the early October 1914. But the following events demanded for more active participation. On October 16 the German and Turkish cruiser "Geben" shelled Yalta and Sevastopol. Moiseyev sent a telegram to the count Bobrinskiy in Petersburg asking his permission to evacuate the museum. In the replying telegram IAC Chair proposed Moiseyev the position of the temporary head of Chersonesos. The preparation for the evacuation took about a months, and on November 14 Chersonesan archive and collections in 25 containers were sent at high speed by the railway to Kharkov, where they were temporary placed in the library of Kharkov university. They were fated to come back to Chersonesos after a long and filled by the largest country's sufferings decade and find there a completely new epoch, but that will be a subject of the following story. This way, the temporary head of the museum successfully fulfilled his first important mission, which is why the Commission selected him for this position. Moiseyev's biography has not yet been written. Who was this person, to whom the museum of Chersonesos owed its inviolability during one of the hardest periods of its life? Turning over the pages of the documents dating to the first months of Moiseyev's headship, one can draw a conclusion that Moiseyev was a sociable and fascinating person, who had a gift of winning over. The study of his large archive allows me to say that he was fond of his work, which he related to archaeology, and did his duty of science carefully and responsibly. Having taken his responsibilities in Chersonesos in 1915, he was young, energetic, and filled up with plans. This is a citation from his report to the chair IAC: "As you wish, count, to entrust me the archaeological business which seemed to have the largest budget in Russia, and I feel the necessity of establishment certain principles related to the affair of realization of the works themselves." However any excavation was not planned to be organized, the military authorities took practically every museum facility, so the new head was fated to deal mainly with the "archaeological supervision." This was probably a supervision over the operations of the fortress artillery. Despite of this, Moiseyev succeeded in solving many problems: he fenced in the excavation areas from the "ramblers" and solved the household problems. Moiseyev started making catalogue of the future museum of Chersonesos: "I want to believe that it will be, because it cannot but be," he wrote. In 1917 Moiseyev started excavations of Kerkinitis (present-day city of Yevpatoriya) which soon drew him away from Chersonesan problems. The war, which was cutting Crimea off Petrogrtad more and more, and the February revolution, which changed the centuries-long way of life of this state, in the Crimea all these things seemed like echoes of fareaway thunder. What was real, the first independent finds in Kerkinitis and complaints from not numerous employees of the museum, who more often appeared without payment, because these money came from Petrograd more and more rarely and one day completely ceased. During these days the Commission member B. V. Farmakovskiy wrote to Moiseyev: "...You have to work and organize by yourself. If you succeed in maintaining the archaeological business in Chersonesos and Yevpatoriya, that will be your great achievements. Independent archaeological business is possible in Crimea. But now it is not a time of thinking of a reform. The future of the Commission is not known." Later on, IAC was brought under the responsibility of the Ministry of Education, and in the years of Soviet power it became a base for creation of the Russian (later State) Academy of History of Material Culture. Moiseyev continued the tradition of his predecessors and carefully kept the archive of all, even the smallest, evidences for the museum daily life. Due to this fact one can see how under the anarchy and distemper a handful of unarmed people was able to save the museum through the years of wars and revolutions. The team of Chersonesos (at the moment the staff never exceeded 3 to 5 persons) looked like the wrecked, they held on Chersonesos like a ship fragment in order to survive the blustering sea of events. The museum scholarship has not yet realized the whole role of Lavrentiy Moiseyev in these events. Moiseyev used periods of relatively stable life in Crimea for his attempts to establish an "independent archaeological business" and renovation of the museum work. Under the Crimean Regional Government's request on June 1918 Moiseyev produced the project of law of protection of monuments and establishment the Directorate of the museums and excavations. Under the influence of this project he used to call himself in the documents not the head of the excavations but the director of the museum. Thus the new title of the first person of Chersonesos appeared. The museum was opened on summer 1918 for 75 kopecks fee from the visitors. The newspaper announcement said that boats started from the city wharf to Chersonesos on Sundays and holidays. The exposition included mainly the architectural details which had not been evacuated to Kharkov. Near the museum at Karantinnaya bay there was a number of forsaken rusty ships. Having found themselves without means of subsistence, on August of 1918 Moiseyev together with the representative of another Sevastopol scholarly institute, Biological Station (nowadays the Institute of the Biology of the South Seas) P. N. Gal’tsov, appeared without means of subsistence, repaired the old steamer "Galvaner", and all the staff of Chersonesos started fishing and getting some kind of seaweed for iodine production. This fragile ship kept Sevastopol science afloat. The establishment of the Soviet Power in the Crimea in the late 1920 resulted in particularly Chersonesos was included to the system of museum studies and sites protection which had already developed in Soviet Russia. Yet on November 1917 All-Russian Collegium in the Museum Affairs and Protection Sites of Art and Antiquity was established in the People's Commissariat (this way the Bolsheviks started to call ministries) of Education. This Collegium included the Museum Department and from December 1918 started to organize so-called sub-departments in museum affairs in local departments of people's education. The decree "On the Russian Academy of the History of Material Culture" was proclaimed on April 18, 1919. This Academy was aimed at supervision over the scholarly side of every archaeological reconnaissance or excavation and be in close communication with the All-Russia Collegium in the Museum Affairs, which was entrusted in issuing licenses for doing archaeological excavations. On November 1920 Moiseyev received the position of the Head of Sevastopol Committee in the Museum Affairs combining this job with directorate in the museum of Chersonesos. Misfortunately, this directorate was virtual, because the estate of the ceased by the new power monastery in Chersonesos was assigned first for the concentration camp for the "counterrevolutionary elements" and then divided between the House of Retired Invalids and the 7th infantry regiment of the Kazan division of the Red Army. Apart from the Museum of Chersonesos, Sevastopol Committee was responsible for Leo Tolstoy's Museum, Museum of Sevastopol Defense including the Historical Boulevard and the Panorama Sight, Malakhov's Barrow, different bastions, historical cemeteries of the Northern Side of Sevastopol, sites of Balaklava, Baydarskaya valley, and others. Moiseyev subordinated staff of more than 40 employees. From 1921 Moiseyev started stubborn struggle for the estate and building of the monastery in order brought them to the Museum of Chersonesos, for the expulsion of the 7th regiment and House of Invalids out of the site. He composed more than ten petitions and applications for different instances, both central and local. He insisted on the organization of the city-site guarding and organization of museum expositions in the monastic buildings. In the same time the poor dwellers of the House of Invalids were broken fences for "making tea," the soldiers of the 7th regiment used ancient marble structures as blocks for cutting meet, and the Byzantine churches served as trash dumps. Only by 1924 he succeeded in that the whole monastic estate and buildings were brought under the responsibility of the Directorate of the Museums and Excavations in Chersonesos. Those who did not take immediate part in the October Revolution or the Red Army wars drew suspicion upon themselves from the new power, and Moiseyev was disgraced as well. At first he was discharged from the heading the Committee on the Museum Affairs and kept only the directorate in Chersonesos. From this position he left for Kharkov on spring 1924 in order to take back Chersonesan collections. Although the re-evacuation was organized successfully, coming back to Sevastopol Moiseyev found very cold reception. As the former member of IAC, Moiseyev was not good in establishing contacts with new officeholders with too complicated hierarchy and too simple ideology. The fate of coming back collection became the object of quarrel between Moiseyev and his immediate chief I. P. Birzgal, the new head of Sevastopol Committee in the Museum Affairs. Birzgal ordered the collections to be promptly transported to the facilities of the former monastery in Chersonesos for exhibition, though Moiseyev tried to prove that there is need to make minute scholarly work before. This conflict was solved according to the spirit of the times: on July 15 of 1924 Birzgal reported financial abuse by Moiseyev to the Chief Political Department (secret service). Moiseyev was immediately arrested and was imprisoned for five months being absolutely non-guilty. The museum was living without its director during the whole period of the investigation. Fate was cruel to Moiseyev. After being rehabilitated by court, he for a long time could not find a job so much that starvation and poverty pursued his family. His one-year-old daughter died in 1926. The Moiseyevs did not have other child. Moiseyev in Sevastopol Branch of the Society of Crimean Studies to the early 1930s. He was keen on natural sciences and problems of irrigation and seismology. Then he moved to Yalta where he worked in Yalta Landslide Station. He died of heart decease in 1946. Moiseyev widow donated his archive to the museum of Chersonesos in 1977. Tunkina, I. V. Russkaya nauka o klassicheskikh drevnostyakh yuga Rossii (XVIII – seredina XIX v.) (Russian science of classical antiquities in southern Russia [eight-eenth to mid-nineteenth century]). St. Petersburg: Nauka, 2002. 676 p., 156 ill.